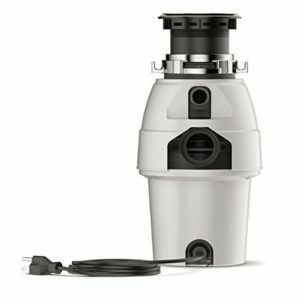 Anaheim Manufacturing Company (AMC), a division of Moen Incorporated, offers an extensive assortment of food waste disposers, disposer accessories and hot water tanks with faucets. Anaheim Manufacturing Company’s product portfolio includes domestic and international product brand labels. For more than 50 years, AMC has delivered superior products to fit the unique needs of its customers. AMC is committed to leveraging this experience to design products with a focus on combining exceptional quality with great value. It provides household and commercial products. In the household, they provide Domestic Domestic Disposers, International Disposers, Water Products, and Accessories. And Commercial products they provide Commercial Disposers, Water Controls and Accessories. Before to dive see features of Waste King food disposal we first see the why Waste King is buyer choice. Or why buyers purchase this company product for grind leftover. Revolutions per Minute: These amazing garbage disposal units operate at 2700 rpms vs. the other brands at 1725 rpms. Save Time: Waste King disposes of food waste faster and it saves precious time and electricity cost. Save Water: Because it grinds faster, therefore, it uses less water. And therefore water consumption is less. Save Electricity: Because it finishes work faster and save electricity and consume less energy. Extra Twisting Power: Waste King Legend motors have 30% more torque. Therefore twisting power of waste king legend series is more as compare to other products. Never Jams: By using Waste king legend series not need auto reverse to prevent jams and a un-jam key to prevent jams. Big Warranty: Waste King Legend offers the longest Warranty in the business because they are so trouble-free. Electric Cord & Plug: It consists of an electric cord and plugs with all models, therefore, they charge $10 extra as compare to other brands. Big Manufacturer: Waste King Legend is one of only two major manufacturers that make 95% of all garbage disposers. Rated No.1: Waste King Legend was Rated #1 because they grind finer and don’t jam. 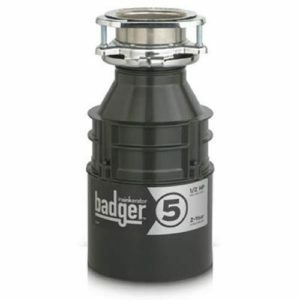 High strength, corrosion proof polymer grind chamber with stainless steel grind components resists rust to extend the life of your Waste King disposal. The Waste King disposal features a manual reset button – a safety feature that will shut it off in the case of an overload or the rare jam. Easily revert to running status by pressing the manual reset button. 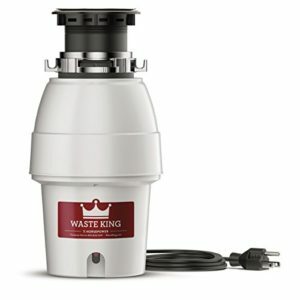 The Waste King continuous feed disposal activates via a wall switch or sink-mounted air switch and runs until it is turned off. The removable, replaceable splash guard makes it easy to clean the disposal and retrieve dropped items. Using a septic system? Waste King Disposals are perfectly safe to use with septic tanks that are properly sized for your home. Tackle everyday food scraps with the energy-efficient, high-speed motor that offers an impressive grind. It is a durable disposal that’s simple to install and always reliable. The powerful Waste King motor allows for shorter runtime, further reducing your footprint and lowering your electricity bill. This sleek design saves space and provides more storage under your sink. Waste King’s EZ Mount twist-and-lock design provides a fast and easy way to install or replace the disposal in your kitchen sink. It provides all the necessary hardware, including a 32-inch power cord, saving shoppers an extra trip to the store. Its permanent magnet motor achieves full speed nearly instantly, reducing the possibility of jams. Garbage disposals grind up food waste to be processed at water treatment plants, which reduces bio-degradable waste sent to landfills. The Waste King Legend 2600 is backed by a limited mechanical warranty.